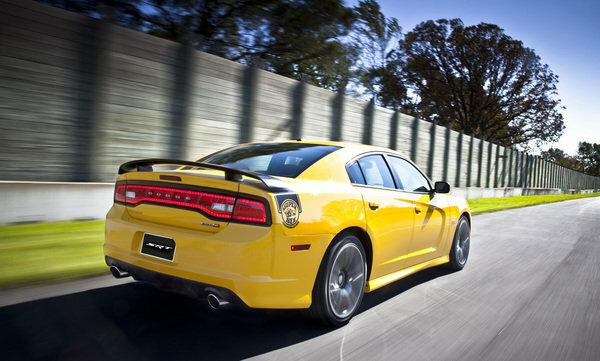 We're buzzing with excitement over the special edition 2012 Dodge Charger Super Bee and Dodge Challenger Yellow Jacket! The stunning Stinger Yellow paired with Pitch Black paint-job is not a subtle statement, so if you're looking for a car that will blend in at a Grand Rapids stop-light: These are not the cars for you. The Dodge Charger's Super Bee package is a nod to classic car nostalgia. As a timeless muscle car, no matter the year, from its introduction to the Charger family in 1971 to its all-new 2012 model, the Super Bee special editions have always added a touch of drive-out-loud style to the Dodge model line. Not to be out-done by its head-turning exterior, the Super Bee's race-inspired cloth interior is accented with yellow and silver striping and stitching, accompanied by a unique dash plaque featuring the Charger Super Bee logo. 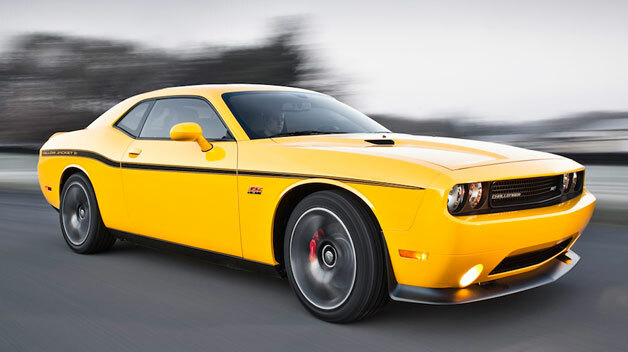 This heritage high-performance model is inspired from the 1970 Dodge Challenger. The 2012 Yellow Jacket edition features a new Yellow Jacket logo on its Stinger Yellow accent band, and a 470 horsepower, HEMI V-8 engine to back up its sting-worthy stylings. The Challenger carries its Yellow Jacket theme into the interior with its embroidered silver-stitched Yellow Jacket logo. These special edition muscle cars will make its world debut later this month at the LA Auto Show. Orders are tentatively scheduled for December, with the models hopefully landing in West Michigan dealerships in early 2012. Which Dodge special edition would you like to get stung by?